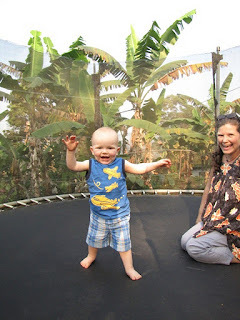 One of our friends here has a trampoline. 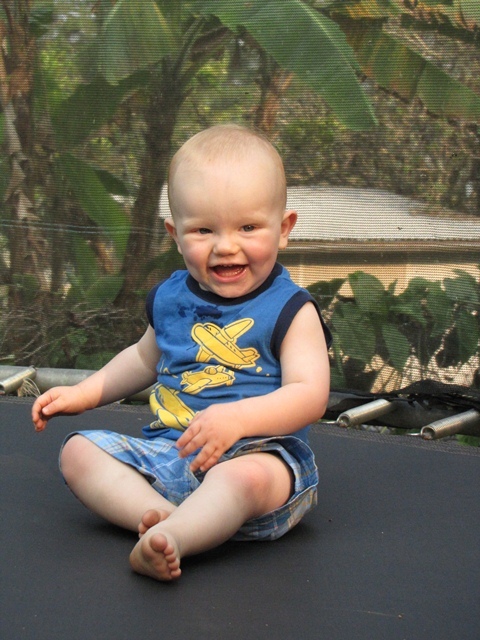 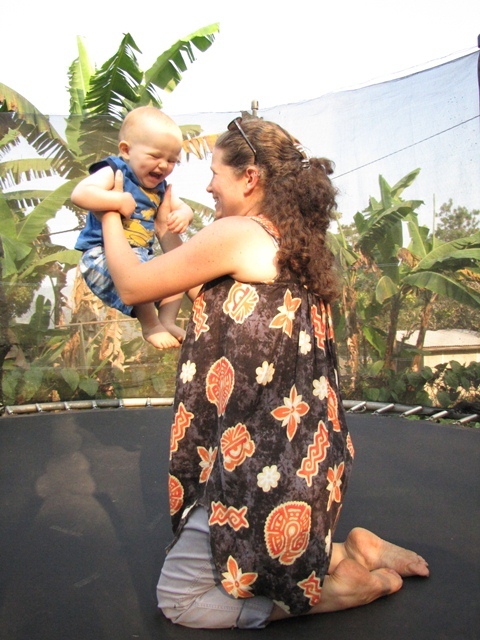 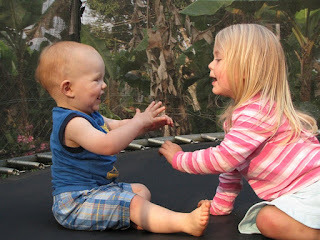 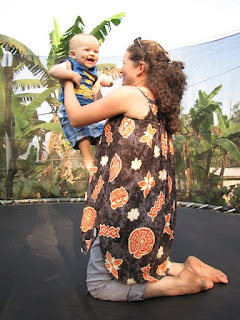 Thad and I have been going to play at their house every so often and now Thad has new love—the trampoline! He can’t actually jump yet unless he has a little help, but enjoys the bouncy sensation when he runs around on it. 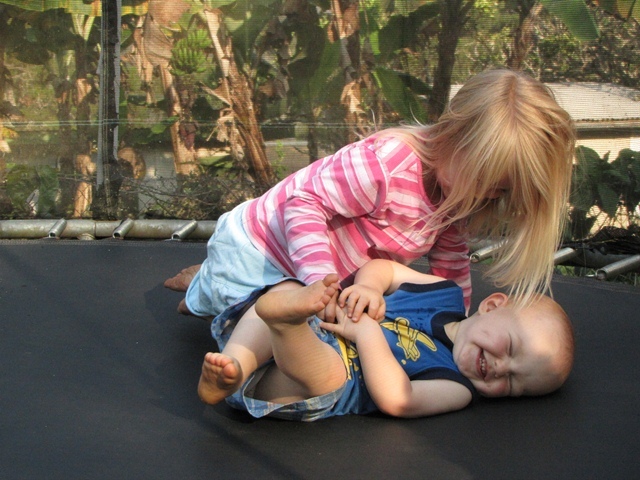 He also enjoys having a friend to play with…and tickle him! Thad has the best smile ever!